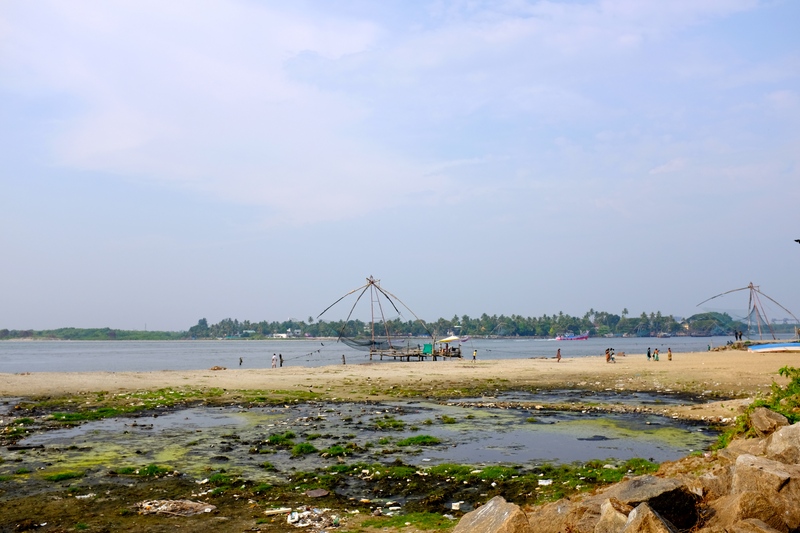 After being in Wayanad for a couple of days and taking some time to rest and relax, it was nice to be back by the water, this time the west coast of India enjoying my first views of the Arabian Sea. 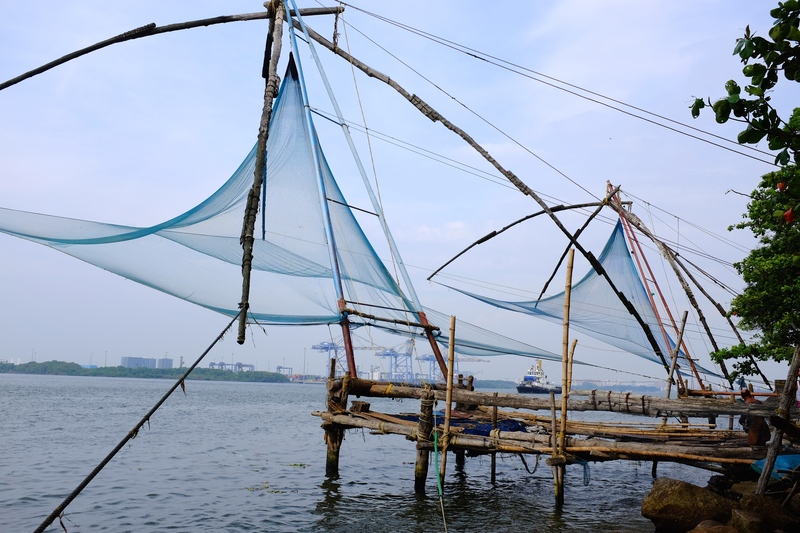 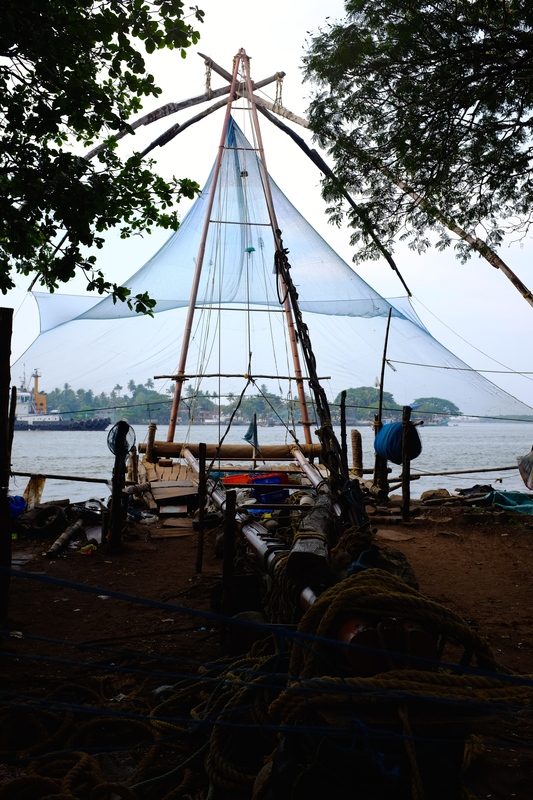 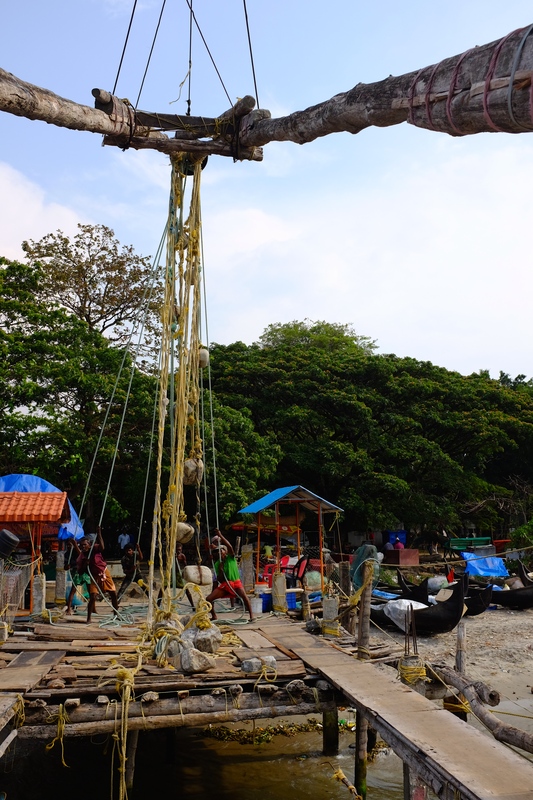 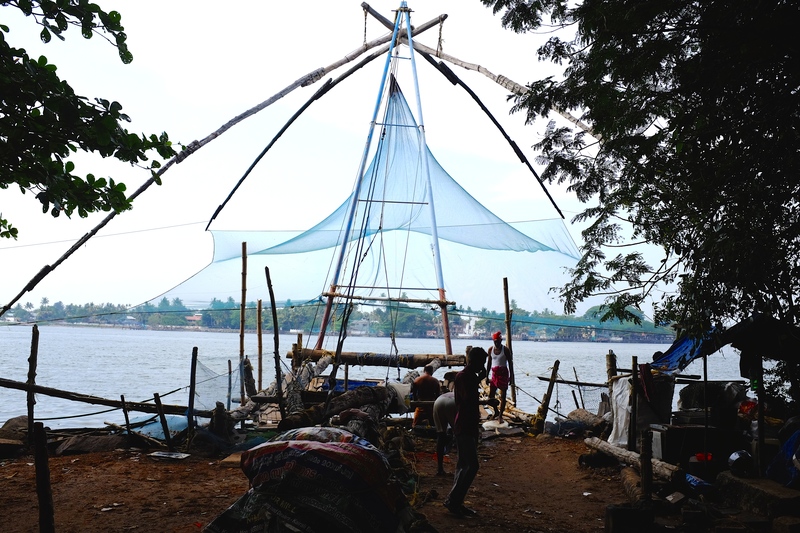 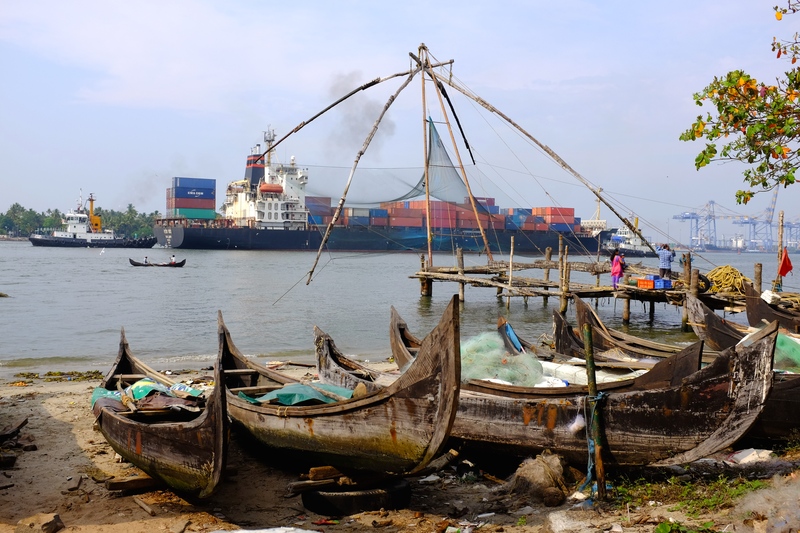 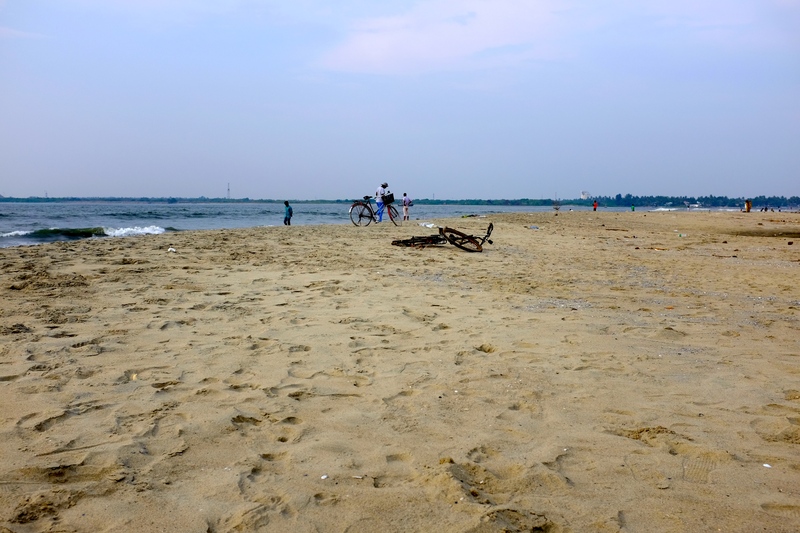 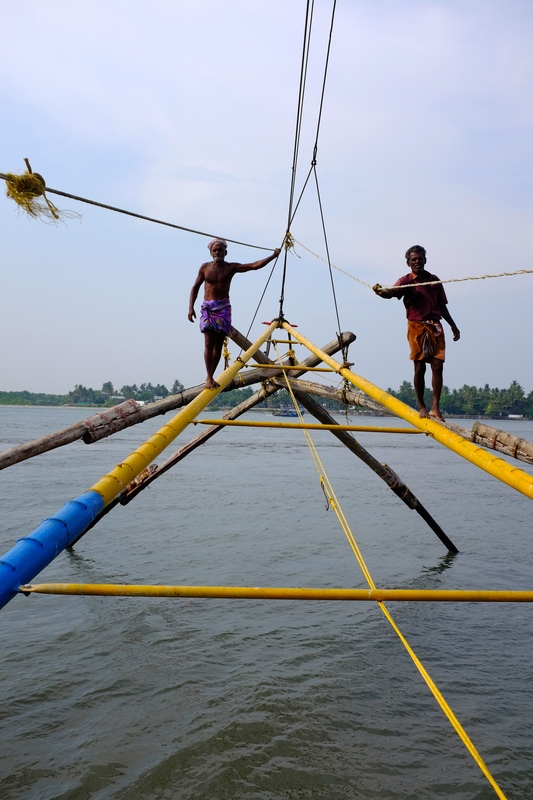 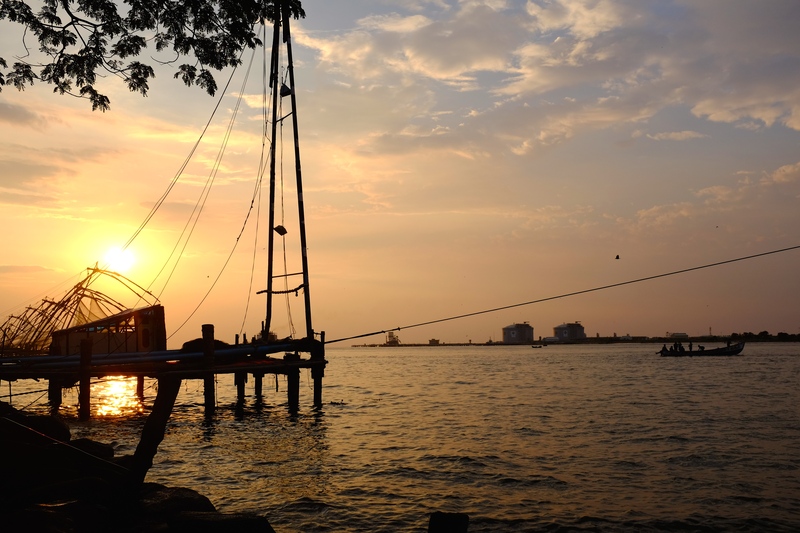 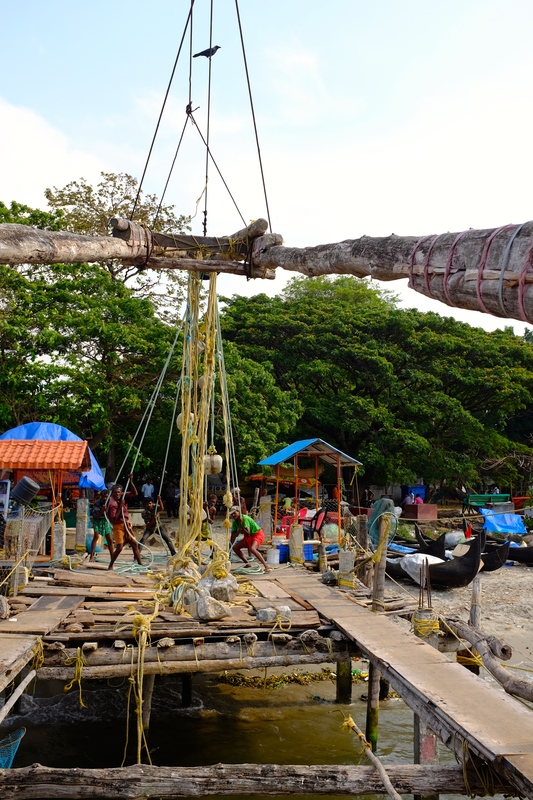 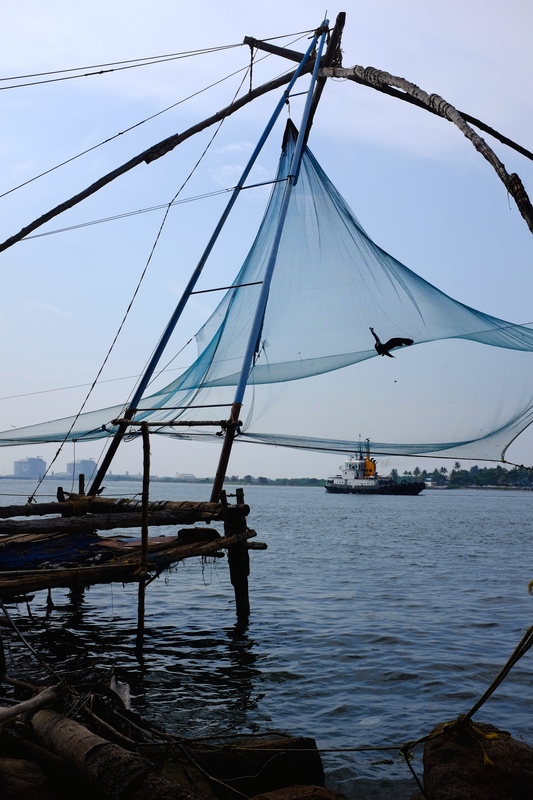 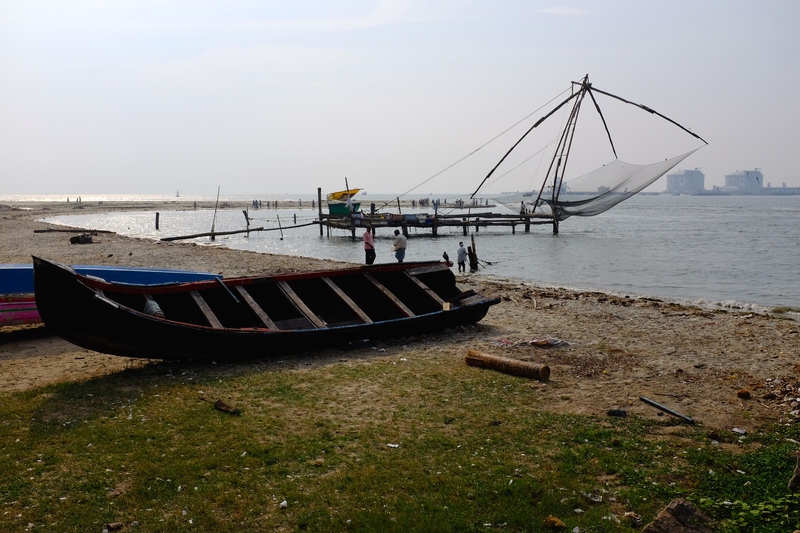 I was in the Fort Cochin area for four days and on the must see list were the ancient Chinese fishing nets. 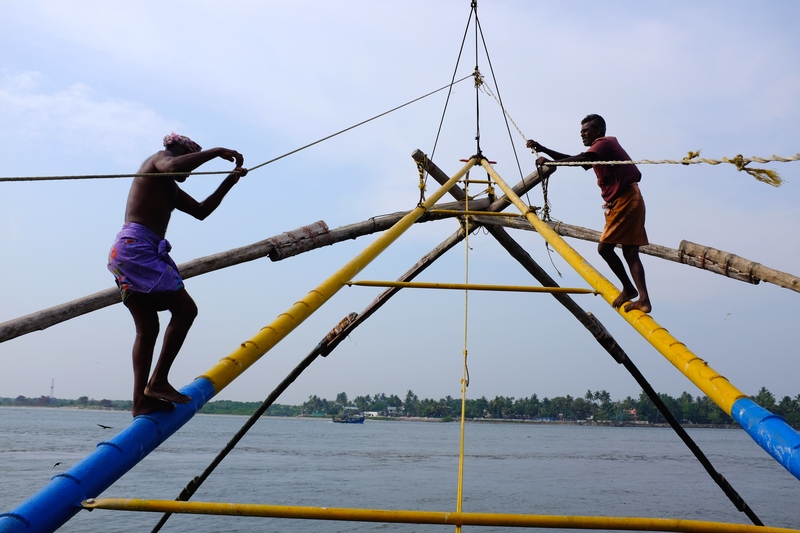 This ancient technique has been around since 1400AD. 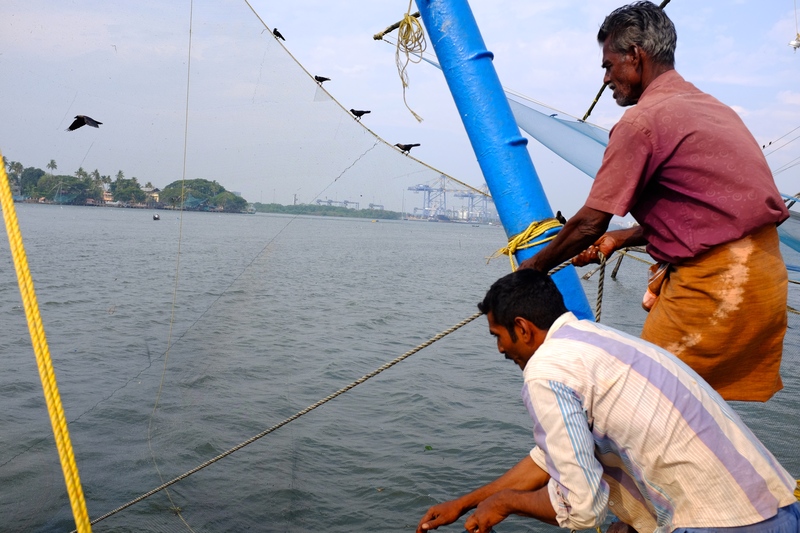 At high tide it requires at least four people to pull up the nets which is was fascinating to watch. 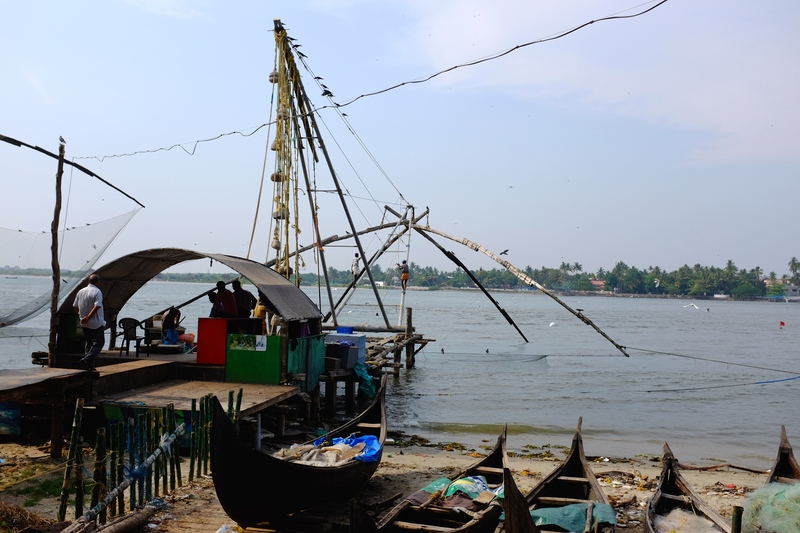 You can purchase seafood caught from the local fisherman at the numerous fish mongers located behind them. 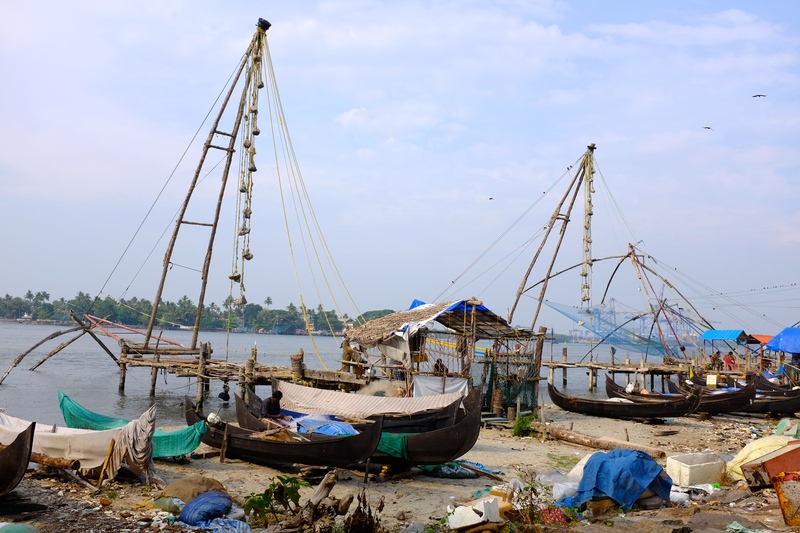 The restaurants next to them will then cook the catch for you while you sit outside enjoying the warm weather. 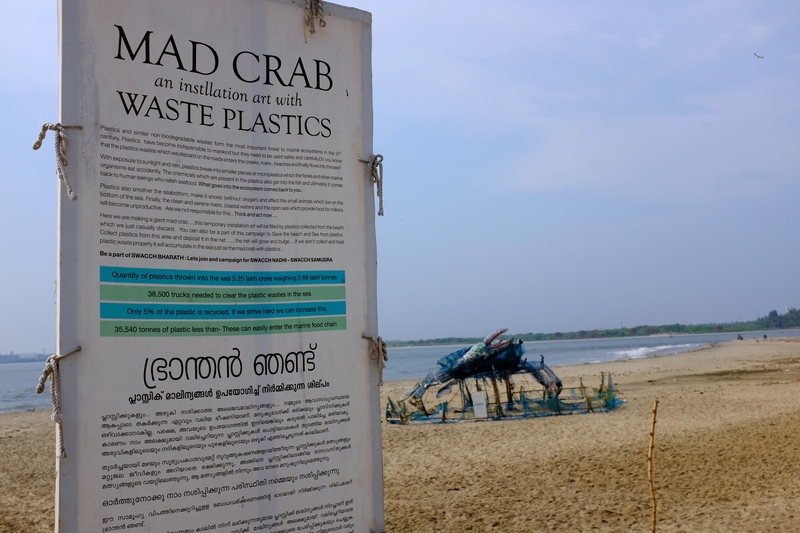 I chose not to do this after seeing the abundance of rubbish that was collected in their nets. 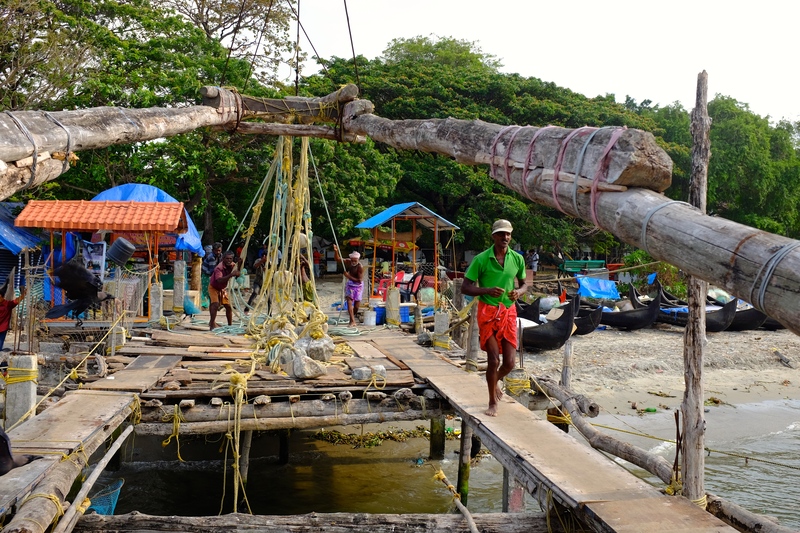 With faster modern fishing techniques these fisherman are struggling financially and rely on tourists to help fund their living. 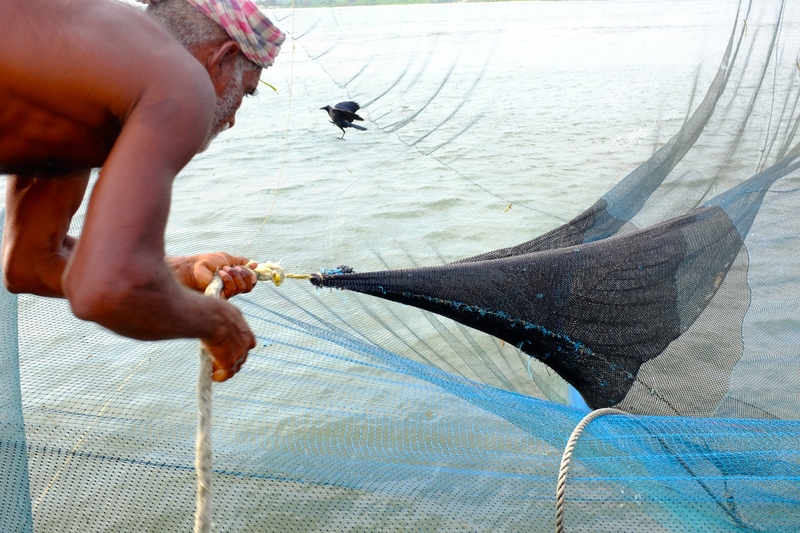 Judging by the small pathetic and polluted catches I saw, they need all the help they can get.